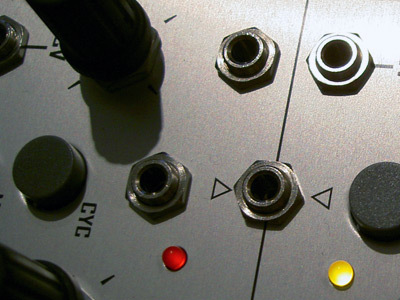 A free library of sounds for Ableton's Simpler made with LeafAudio's Noisefoc synth. From Manu: "We created a free library for Ableton 8 based on sounds of the NOISEFOC Synth - a 3-oscillator synth that can be built in our workshops as a diy-machine. 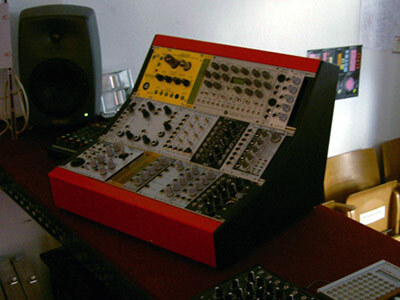 The library includes 16 Simpler-Instruments that show the possibilities of combining diy-machines and professional production. 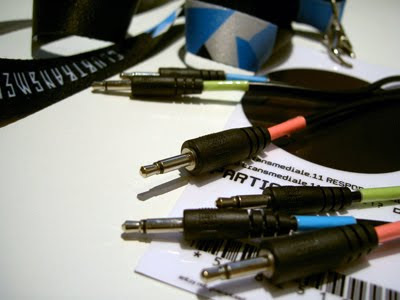 It doesn't sound like that but yes, you can do electro pop with the sounds ;-) All sounds in this song except the drums are made with the Noisefoc library." The library is available here. 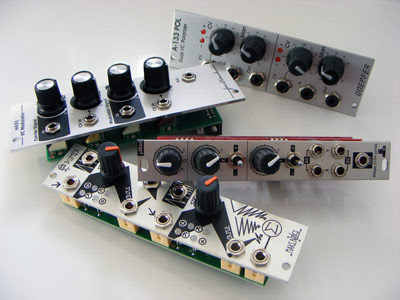 Look out for LeafAudio workshops in Spring 2012 where you can build your own Noisefoc, Fuzz-O-Mat or Bumsss. Audio examples of the 4ms Pingable Envelope Generator. An update to this post. 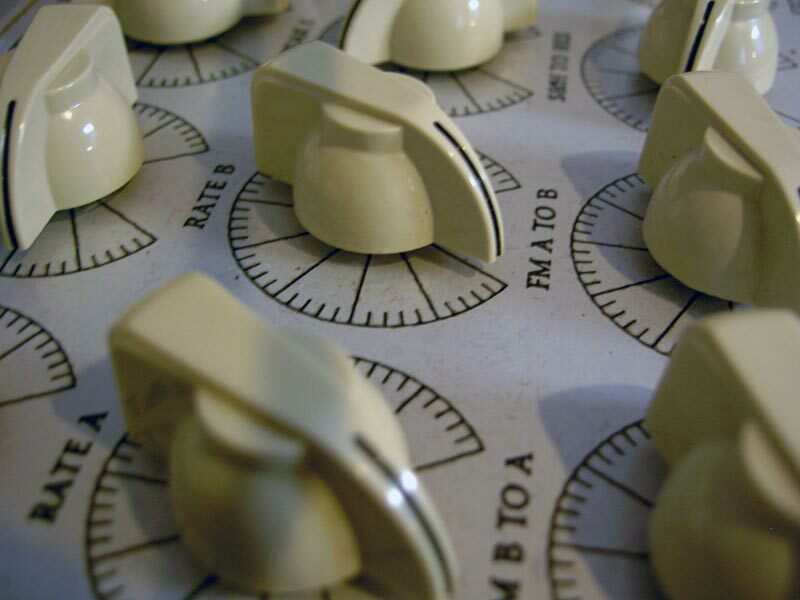 The PEG offers voltage control over most of its parameters, various trigger outputs, an analogue OR and a variety of triggering options. 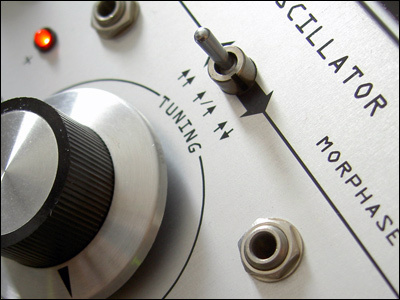 The toggle function can be a creative source of surprise, as it flips the activity of the two envelope generators. 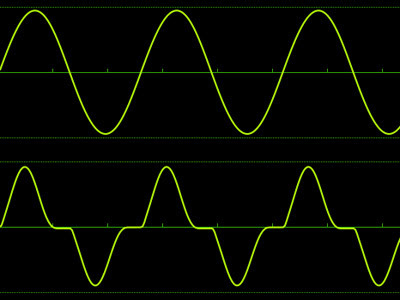 The curves can be extreme, especially when the skew is maxed in one or the other direction, so you might want to use a linear VCA. That said, a 'whiplash' setting is great with low pass gates. 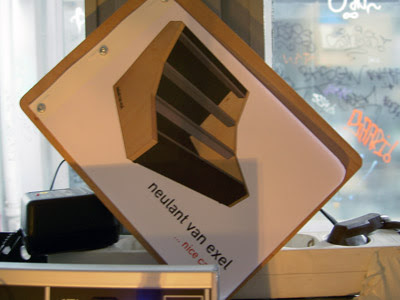 I've only scratched the surface with this demo: you could try the PEG on drones, slow pans or feeding it to a quantizer for synced, stepped CVs. QNT trig mode allows gated repeats or trills like the Plan B Model 10 or Cwejman CTG-VC. 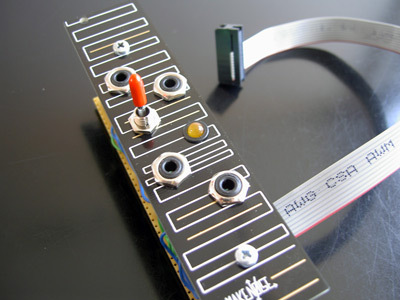 When used with a sequencer, you could set different length envelopes per note, or use the toggle jack to combine the two. 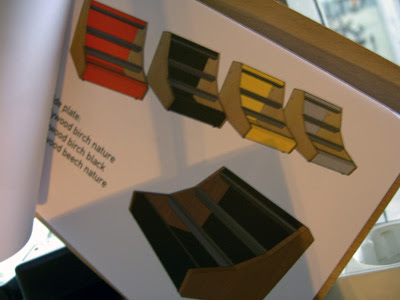 The PEG is rich in possibilities, so make sure you read the extensive manual. Once you've grasped the concept, it's easy to use. If you've ever wanted to keep your wobbles in time, the PEG might be what you've been looking for. How to compensate for frequency shift in exponential FM. 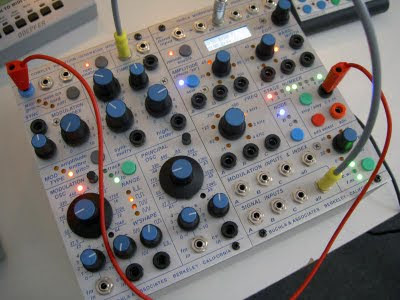 Bernie Hutchins' Electronotes patch quoted in and cribbed from Allen Strange. 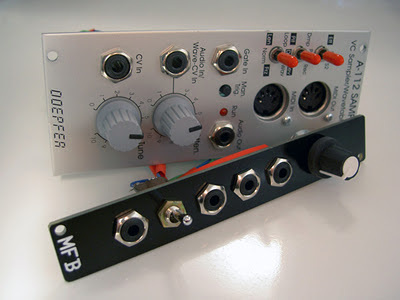 Exponential audio-rate FM is great for klangorous tones. Unlike linear FM, however, it's hard to patch dynamically. Changing the index results in a churning sound. 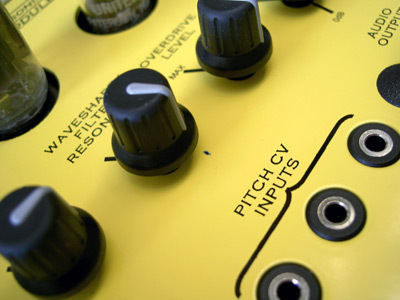 The more you modulate the carrier, the greater the pitch shift. 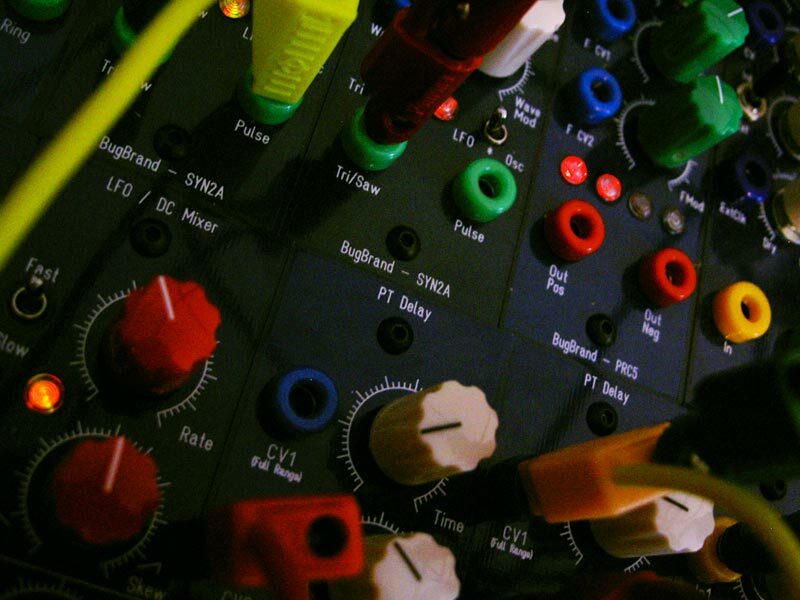 The modulator is patched to the carrier via a VCA. 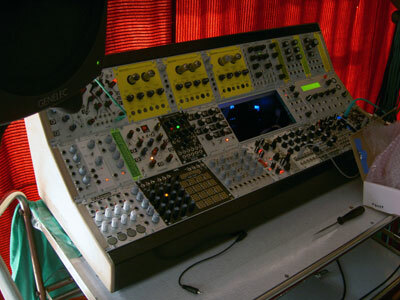 An envelope opens the VCA. 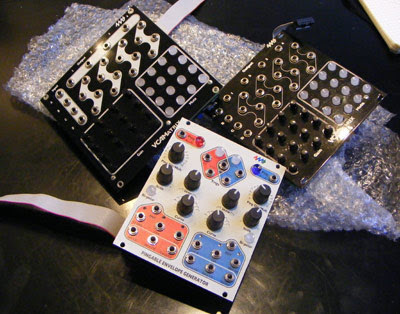 The envelope is multed to a second VCA or ring modulator and multiplied by itself. The result is inverted and patched to the carrier. I'd tried this previously, as a work-around for my VCOs which don't have linear FM capability, but didn't get it to work satisfactorily. My mistake was to send the full inverted envelope to the carrier - it needs tweaking to find the right level. Don't expect to be able to set high indices. I found I couldn't push the envelope much above 2-3 volts before the compensation CV itself became apparent. 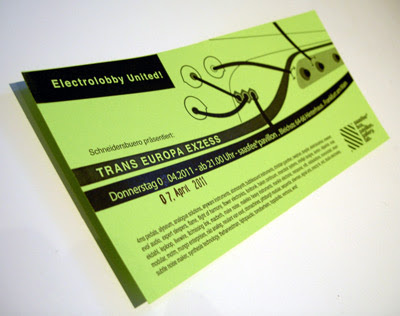 Similarly, short envelopes seem to work better than e.g. joystick sweeps. 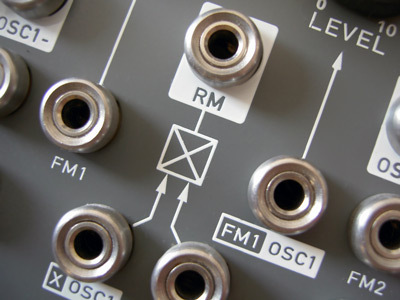 Despite its limitations, this patch offers a method for dynamic timbal control of VCOs that aren't capable of linear FM. It's a bit fiddly, but as Allen Strange writes, it's certainly worth a try. Spotted at Schneidersladen. One of five, custom-built, apparently based on a Hohner drum machine, master clock operation only, price unknown. Sadly, couldn't hear it in action. Full-size pictures are here. Thanks to Moondust for the loan of the camera and the delicious Swiss chocolate! A lot of people are confused by the Toppobrillo Sport Modulator. They needn't be. As you can see from the easy-to-follow diagram below, using the SM is child's play. 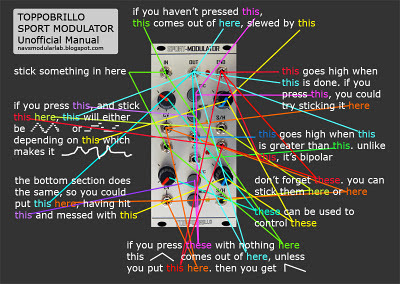 When patched correctly, the Sport Modulator should sound like this. ... you have done something wrong. Please consult the diagram and start again. 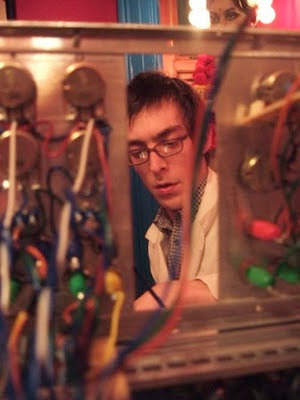 Modifying the Electro Harmonix Stereo Memory Man w/ Hazarai delay pedal for external tap clock. A follow-up to this post. Two years on from blogging Rechner7's project, I've finally modded my SMMH, a delay which features heavily in my recordings and live sets. 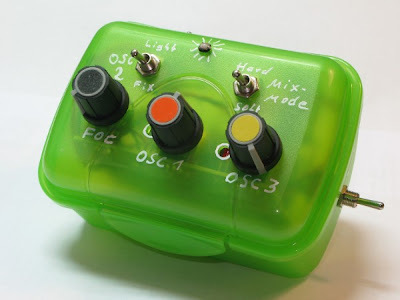 I'd never found the original tap tempo function a hindrance to getting interesting echo, but was inspired to give the mod another look after seeing Mr Biggs' video of his project. I'm glad I did, as the additional inputs have yielded a few surprises. I kept my mod simple, adding one external clock jack, a three-position switch (on + HP filter, off, on without filter) and a softer response tap button. 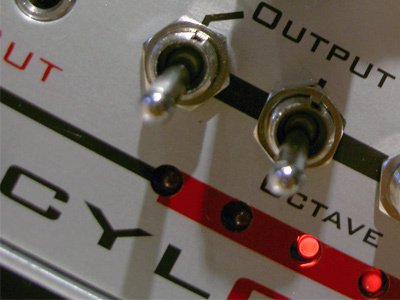 The internal changes consist of Ken Stone's Gate to Trigger and Doepfer's Gate to S-Trigger circuits. Here's my perf-board layout. 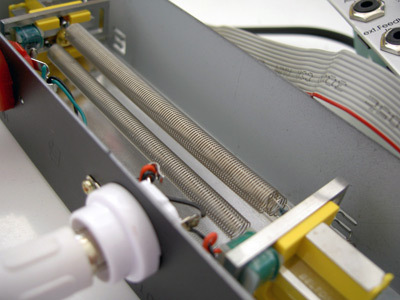 As r7 originally warned, the most difficult part of the operation was removing the PCB from the enclosure. After a few frustrating attempts, I gave up, masked the PCB with paper and drilled my holes with the board in place. So, was it worth it? Yes, but not for the reasons I originally assumed. While tempo-syncing is nice, I actually prefer the sound of echos which are not perfectly in time. The new momentary switch was a last minute decision and I'm glad I added it. It's less clunky than the original foot-switch and makes tapping easier. That doesn't mean the clock input is redundant - it comes into its own when fed with random gates, for example from a tail-chasing Wogglebug. Thanks to Rechner7 and Mr Biggs for answering my questions and for their encouragement. 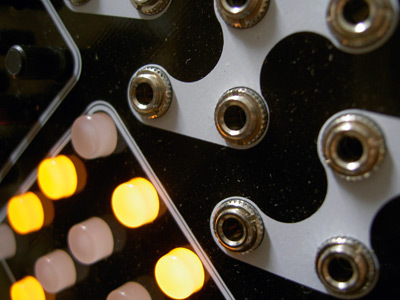 It's a simple project that helps integrate the SMMH with the modular, so highly recommended. 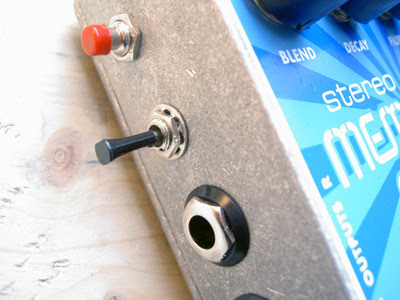 As ever, the usual disclaimer applies: modding you pedal will void your warranty and is carried out at your own risk! 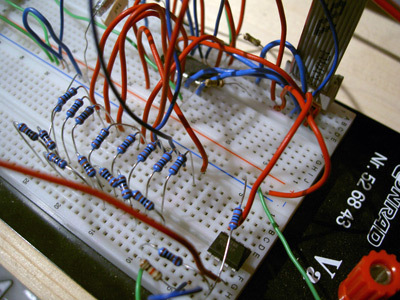 A DIY Ring Counter based on Ken Stone's Gated Comparator circuit. 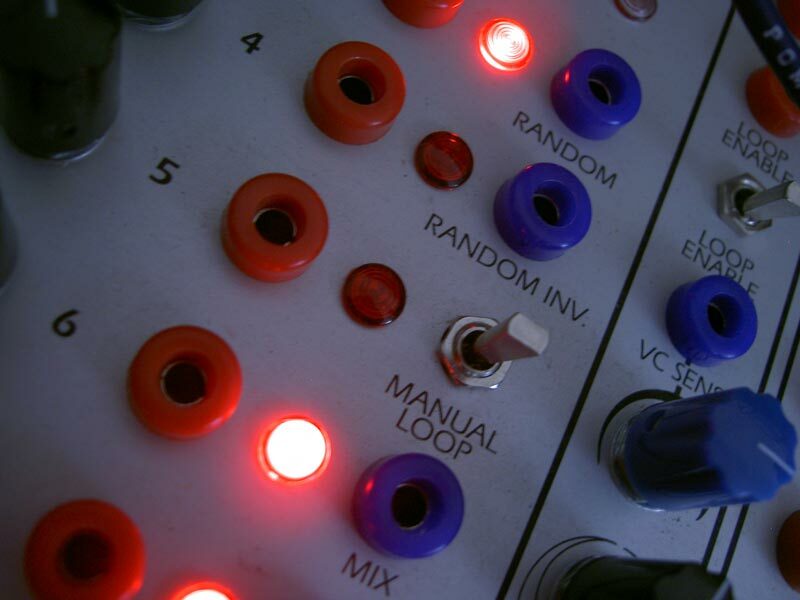 My inspiration for this module was Grant Richter's Wiard Noise Ring - a random CV generator with a form of memory. While I liked its ability to capture an eight note sequence, I found it hard to control and wanted some method to reliably input my own data. 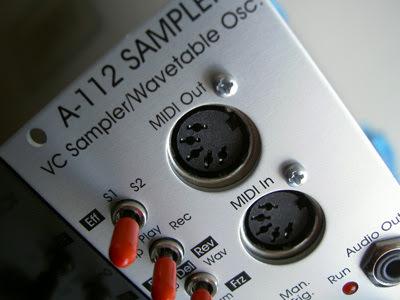 I first thought an analogue shift register - a chain of sample + holds - might provide the solution. 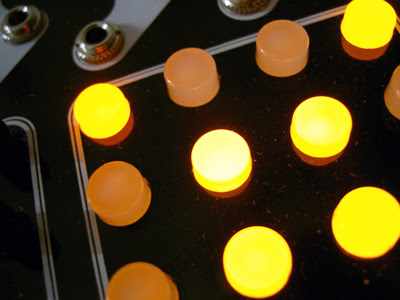 Thanks to a prod in the right direction from Matthias of Fonitronik, I discovered Scott Stites' Klee sequencer and later Rob Hordijk's Rungler and Ken Stone's digital shift register circuits. I built Bitsy as a companion to the Wogglebug, which provides the clock and data, via its burst output. 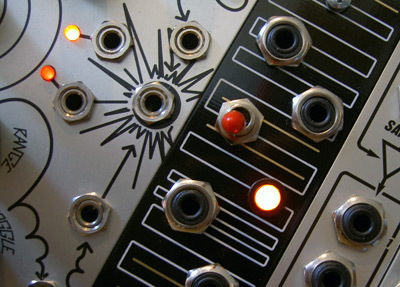 Like the Klee, it can also be programmed via a sequencer or manual gates. To simplify the design, I left out the input comparators of Ken Stone's circuit. 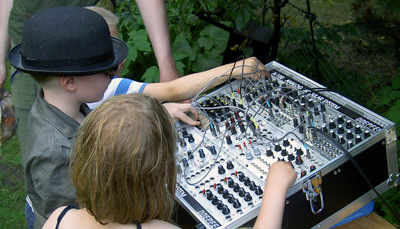 A switch is used to manually hold a sequence. 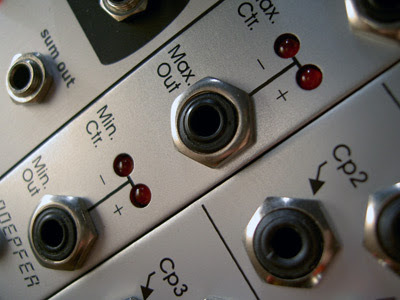 The last stage is also available, allowing VC over new/ old data selection via a sequential switch like the Doepfer A-151. An LED reflects the voltage level. 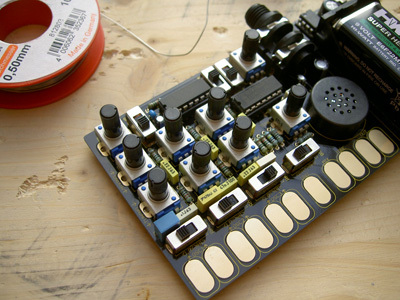 I used the DIY Layout Creator to plan my perfboard and a 6HP Makenoise blank as faceplate. This was the first time I'd made a parallel board, which meant using wire connections for the jacks etc. However, the benefit of this was I didn't have to be totally accurate when drilling holes. Thanks to Matthias for the hint and to the designers of the original circuits which inspired this project! 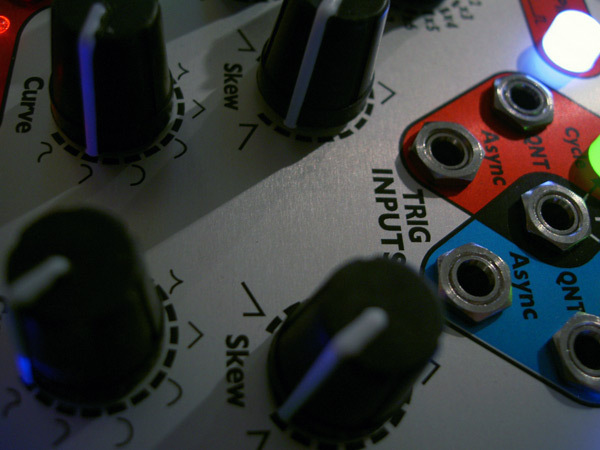 Using a gate delay and comparator to trigger 'full length' ADSR runs, achieve looping ADSRs and delayed looping of AD envelopes. As suggested in this thread. 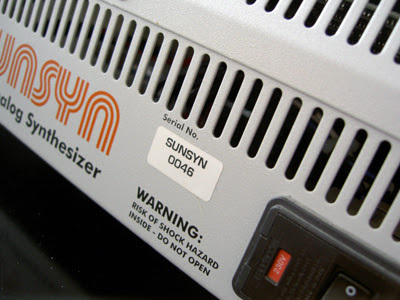 Unlike AD envelopes, ADSRs generally need a gate signal to fully complete their cycle. The gate determines the duration of the sustain phase of the envelope's run. 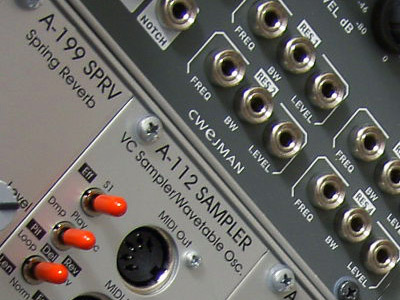 So, what to do if your sequencer only generates triggers? With a gate delay like the A-162, set the delay to zero and the length to taste. If using Maths' channel 1, the rise sets the delay time and the fall the length of the gate, available at the EOR. This provides the gate that the sustain requires. This mimics the response of AD envelopes like the VCS, which complete regardless of gate duration. If you then mult that gate to a comparator with a suitable threshold, you'll get a second gate when the first expires. I used the Sport Modulator with the multed gate fed to the bottom input and 5V as a threshold reference sent to the top input. 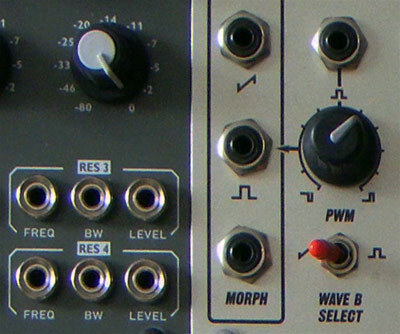 The middle output provides the comparator function. Mix the two gates and feed them to the input of the gate delay and you've got a looping ADSR. The A-162 is great for these sorts of tricks and can also be used with AD envelopes which have an End Out (VCS, Maths, A-143-1) to achieve the Envelator's delayed looping. 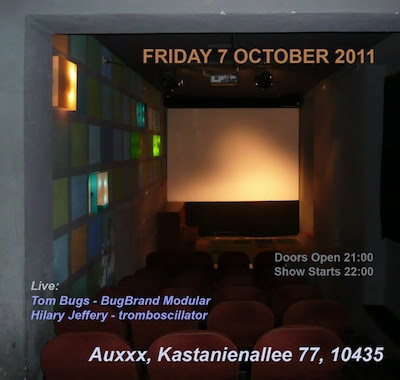 "Legendary analogue electronic instrument inventor Tom Bugs comes over from Bristol with his personal BugBrand Modular setup for a discussion and performance." 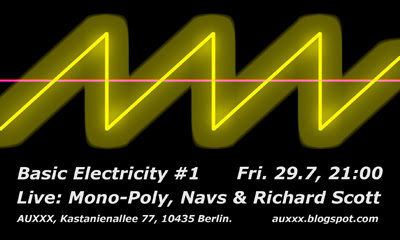 More info at the Auxxx blog.